Love all your layers and your background choice is perfect. Gorgeous clustering and page! Oh wow, this is gorgeous. I love your layers and beautiful clusters. WOW - those clusters are amazing! Love all the layers and how you created the "white" space - great layout! 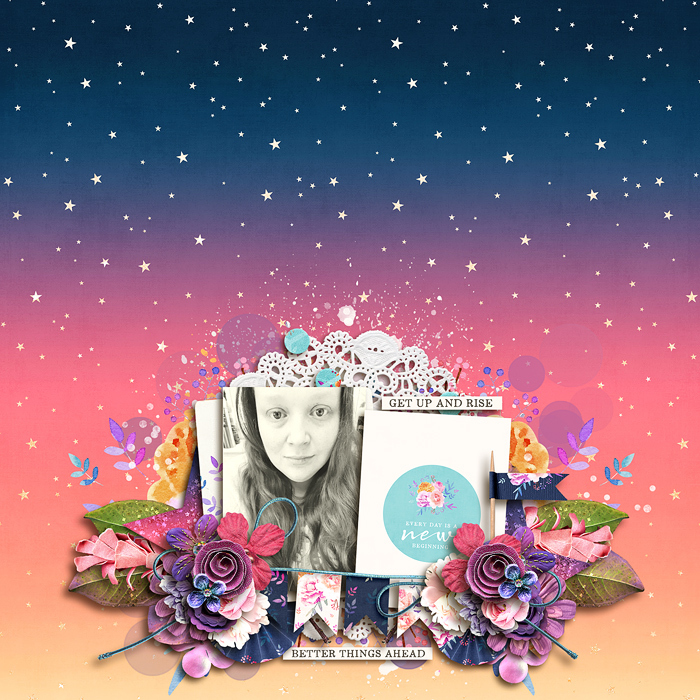 Wonderful layout, gorgeous cluster work, as always! awwww this is beautiful - i love your clusters! Such a gorgeous layout! Totally scraplifting!